Daniël (Danie) Francois Malan was born on 22 May 1874 on the farm Allesverloren near Riebeeck Kasteel. He obtained a BA in Arts and Science at the Victoria College (later Stellenbosch University), a MA in Philosophy and - after more studies at Utrecht University in Holland - a PhD in Theology. He was an active member of the university Debatsvereniging, the Studenten Zending Vereniging and an editorial member of the Stellenbosch Student's Quarterly and Annual. 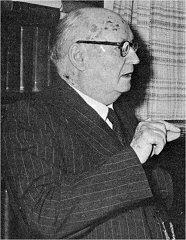 He served as a minister of the Dutch Reformed Church in Montagu (until 1915) and travelled as a preacher for several years throughout South Africa, the Belgian Congo and Southern Rhodesia. Malan joined the National Party in 1915, became the first editor of Die Burger and was elected to Parliament in 1918. Under the leadership of Premier Hertzog, Malan was given the post of Minister of the Interior, Education and Public Health in 1924, where he remained until 1933, when he left the government, opposing the merger between Hertzog's National Party and the rival South African Party of Jan Smuts. Like most Afrikaaners he did not want South Africa to participate in World War II. 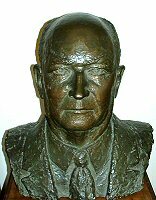 Malan defeated Jan Smuts in the election of 1948. He died on 7 February 1959 at Môrewag. 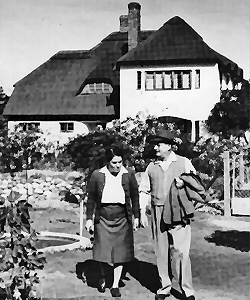 A collection of his writings and documents is found at the D F Malan Gedenksentrum in Stellenbosch. I need a photo and more information, please contact me!